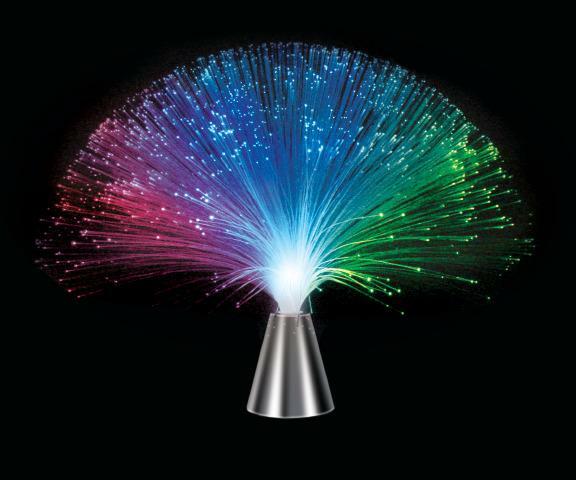 This kit contains 3 different fiber optic lights and each has numerous thin fiber optics that fan out gracefully and light up. 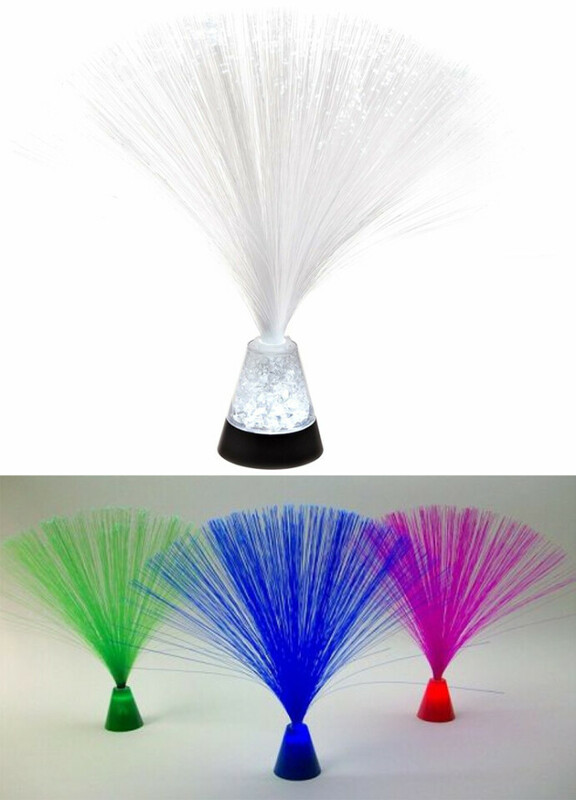 One of them rotates, which feels like vibrations in your hand. Dimensions: 1-3" Dia. Base x H: 13", 2-1.5" Dia. Base x H: 8.5", 3-3" Dia. Base x H: 9.75"